"The Team Daiwa Zillion reels are as good as anything on the Market. Rock solid & smooth." 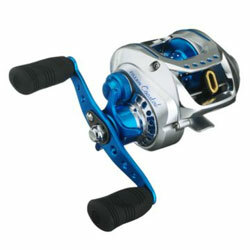 "the only bad part about this reel, is it has cheap grips, and is to fast for a spinner bait or buzz bait. but it is the best reel for the money." "I have owned everything from citicas to curadoes. This reel destroys them. It can handle big reds, smacks and even macks and jacks without blowing up. I don't feel there is a fish in Texas inshore waters it can't handle (besides our large toothy friends). "